PepperBall was formed in 1996 to develop less than lethal weapons. Today, they are used by the military, government, law enforcement, corrections, private security forces, and more. Many of the launchers are manufacturered by Tippmann for PepperBall Technologies, which is why at Tippmann Parts, we offer parts and upgrades. 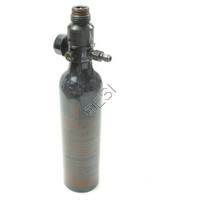 Here, you will find small air tanks that are perfect for the PepperBall launchers. 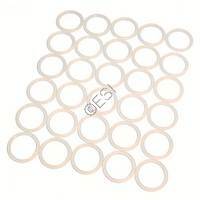 We also offer oring packs for the tanks. Check out the replacements parts too to keep your PepperBall launcher is top condition. Small 13/3000 tank, with adjustable regulator. These orings are used on the top of the CO2 tank that threads in to your gun. It's a good idea to put a drop of oil on this oring everytime you screw your tank in. The oring will last a lot longer. The easiest paintball problem to fix and the most common problem to have. 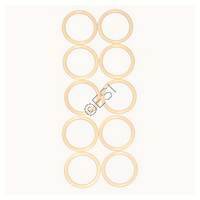 The orings on the top of your tank wear out. They fall off. They get ripped, gouged, dried out, twisted dirty, etc. A bad oring causes leaks that affect your performance.